I share my looks on Instagram, your stories on Facebook, and other fun articles about Project 333 and capsule wardrobes on Twitter. On this blog you’ll find more than 100 articles to inspire your capsule wardrobe and find help getting started. Even with all of those things, what helps people the most when they are considering a minimalist wardrobe makeover, is new stories about how to put Project 333 into action. If you have a blog or another online media platform and participate or have participated in Project 333, I want to share and feature your blog and story. Write something new about your Project 333 capsule wardrobe and post it on your blog anytime from August 11th thru August 25th. Share it on Twitter, Instagram, Pinterest, Facebook or wherever you are social with the hashtag #project333. 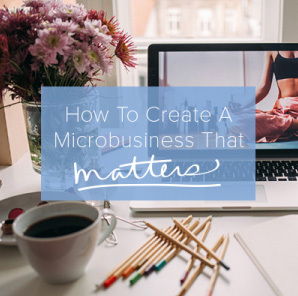 Leave a comment on this post with a link to your blog post or other article. (I’m currently moderating comments, so don’t be alarmed if it doesn’t show up right away) Please don’t add previously written posts. I’ll create a post sharing links to your blogs and share them on social media throughout August and September. You can write about your capsule wardrobe experience if you are just getting started, participating now, or have participated in the past and have lessons and stories to share. Write about anything related to Project 333. If you need suggestions, here are 15 topics for inspiration. Feel free to use them as writing prompts or actual headlines. If you’d like to recommend The Project 333 Dress with Less Course in your post, you are welcome to join the affiliate program and earn 50% of the cost of the course by signing up here. I’m really looking forward to reading about your experience and sharing your posts! I just posted a mid-stream update to my blog. Can I suggest an additional topic? As a Project 333 failure, I’d love to hear from people who’ve done Project 333 while of a non-standard shape or size (tall, short, plus-size etc). One thing that I’ve found difficult is that one of the unquestioned assumptions behind Project 333 is that the person doing it can readily obtain clothes that fit them and look acceptable (and can also easily switch to clothes of better quality and style). As someone for whom this is not the case, I attempted Project 333 and found that I spent far more time trying to buy clothes, rather than far less (and with a far lower success rate!). And I eventually gave up, because it was making clothes shopping even more frustrating than it already is! However, I would very much like to make P333 work for me without going bonkers, and I’m sure there must be people who have done this, so if any of them would care to write about their experiences, I’d love to hear it. Would sewing colthes be an option for you? If you have clothes that you do like and fit well you could sew copies or possibly get a tailor to make a copy for you. It would probably cost less that neding up buying things you don’t wear? I encourage you to watch the TV show, “What Not to Wear.” I’ve been watching it on Netflix, and one thing that has amazed me is the people who are learning what to wear are all shapes,sizes and heights, and one also was in a wheelchair. The show really opened my eyes to what we can do. Once you get the basics in place you should be good to go without having to do a lot of shopping. Love this! I’ve been toying with the idea of doing one and posting on my blog – now I will be! And Straycat, I’m petite, so it will be non-standard size. One of the benefits of Project 333 is shopping less as you learn to work with what you have. You shouldn’t have to buy much or anything to make this work. I did do some shopping before starting — and during — Project 333 because I started with clothing that has either worn out or no longer fits. I would have shopped my stashed items, but I can’t yet fit into those. However, all of my purchases were items that I liked, and all of them were thrift store or sale items. I did find that I ended up doing some shopping at the beginning of this project. When I took out what didn’t fit and wasn’t seasonally appropriate, I actually had too few items to wear comfortably– I had been cycling through the same three work shirts and burning up in winter clothing the remaining two workdays. I also got two pairs of pants tailored, because absolutely none of what I had actually fit me and I was belting/pinning myself into them every morning. I think a lot of people come to this project because what’s in their closet is so totally not working for them, and they may need to add a few decent items to get to a comfortable rotation. It can seem like the project is making you shop, but you actually needed the clothes anyway– it was just that an overstuffed closet was obscuring how much was really lacking. Now that I have a comfortable rotation and I have thought of my wardrobe as a whole, I can put shopping out of my mind, unless I want to shop. No more desperate, “I have nothing for work tomorrow” trips to Target. Given that (for example) I have been looking for two years for a lightweight summer jacket that is long enough in the arms and body and wide enough in the shoulders and it took 3 months to find decent quality basic black suit trousers for work (I bought 3 identical pairs when I did, which is apparently also wrong! ), it’s not a matter of how much you buy (though I imagine that wearing clothes that have started to fall into holes is a no-no? ), but a matter of how long it takes to replace garments that are essential. So frankly “I will buy whatever non-frumpy work-appropriate long-sleeved top Long Tall Sally puts out this season if it fits me, in every colour” is a better strategy than “I do not need a long sleeved top at the moment so will not shop” because there there won’t be another one for six months (if I’m lucky), and that one might not fit or suit me, or be smart enough for my workplace! Waiting until I can’t avoid replacing a garment is a really bad idea for me! Anyway I just wanted to see how other people, with actual real life experience, get around that problem and still look good. Straycat, I welcome any stories, and I’m sure you aren’t the only one struggling with this situation. Don’t worry about doing this right or wrong. It should be a fun or interesting experiment and not a project in suffering. Perhaps you could buy the extras when you find them, or when they are more available, but try to work with a wardrobe of 33 items that you like. That way you can still experiment with dressing with less, but remove the obstacle of running out of things to wear should something wear out. I’ll look forward to sharing stories that can be helpful too. I have to comment on this because I feel so strongly about some of the phrases you’re using here to describe yourself and others. We’re hard on women’s bodies, and the words we use to describe our bodies matter. In your earlier comment, you mentioned “acceptable” and “standard size.” A lot of us, of all sizes, struggle with a constant belief that our appearance is unacceptable, and that our bodies are somehow non-standard or abnormal. No one is built like a clothes hanger. I’m 5’2″ with a 36 DD chest and a waistline that puts me firmly in the “apple” category if I’m willing to compare myself to a fruit. It’s not easy to find clothes that fit me well. I had to shop at probably a dozen stores online and in person over a couple months just to find 5-6 everyday items (like t-shirts), and I still didn’t find all the things I wanted. I’m learning to live without them instead of buying something else that’s not quite right for me. You’ve also used the word “failure.” I know these words. I’ve used them on myself. It doesn’t surprise me that this project is bringing up such powerful emotions from you. I had to deal with some surprising issues when I began this project. The clothes we wear are tied closely to our self-image. It’s not a superficial endeavor even though it might seem like it at first. You aren’t a failure. You attempted something and weren’t totally satisfied; you attempted something and are in the process of learning how to make it work for you. I hope you don’t give up. I’m sure a lot of readers would love to read about your process, your difficulties, and your successes, even if you don’t ever achieve the “perfect” 333. My best to you. I’ve started my own wardrobe streamlining, hopefully as a first step to a 333 project – and while I’ve been readily able to whittle down the ready-to-wear items to a workable, simple wardrobe, it’s the handmade pieces that are going to be tougher. I’m a professional knitter/knitwear designer who’s also learning to sew – and I have a battery of handmade sweaters and scarves/cowls/wraps that are hard to winnow down (how heartbreaking to acknowledge that that sweet sweater isn’t fitting just right, or isn’t in a color that goes with my 33?). But I think where I’m headed is part of a larger, longer project – can I MAKE my 33? I have a vision for little linen dresses with cardigans, jeans with pullovers. And in this case, it’s less about paring down than building – or hand-making the great wardrobe that reflects what I want to wear. Have 2 blog entries about the closet reduction so far with the RTW pieces, but looking forward to adding the handmade process into the mix. Thanks for the prompt! Can’t wait to read your post Karen! I would LOVE to see a handmade or partially handmade Project 333! Remember, Karen, you don’t have to chuck what you don’t wear this time around– just box it up. I have quite a lot boxed up that I’m not ready to let go of, but I really enjoy the predictability and ease of just having 33 items out at a time. Today, I posted a video and a blog post re: de-cluttering clothing I had stored at my parents’ house. So excited to write something about this for my blog in the next few days! What a fun challenge/opportunity, Courtney! Courtney could you give advice for someone living in the tropics. I must launder after each wear due to sweat and dirt. Also I work in a male oriented, outdoor, get dirty type job so I never want to wear my good clothes. But these work clothes are the bulk of what I wear. I love these capsule mix and match ideas I see but that isn’t the reality of my day to day. On weekends and my one day off, I hardly know my style except I want to feel pretty and feminine but it’s my down time too. Suggestions on how to make 33 work for me? Joy, If your work clothes are the only thing in the way of Project 333, count them as one piece. Really streamline and make your work clothes like a uniform so you don’t have to think much about them and then count everything else as part of the 33. Dressing with less will help you identify your style so don’t give that much thought for the first 3 months. When I first did project 333 I tried having 33 for work and 33 non-work…..it was a useful transition! After making my uniform a pair of capris and a polo shirts for my male working environment (I have exactly 4 sets) I realized after a month of this project that I neither like capris or polos. LOL. I guess if I wanted to “find my style” I certainly found what it’s not. I think I might cut the capris to long shorts (still modest but okay in this hot tropical climate) and consider finding some plain colored t-shirts to replace the polos. But since I have always been a non-spender (way before project 333) I will have to wait until I find a good price, or get a good hand me down. The non work days with 333 are working out well so far though! Thank you Courtney. Initially I made a pact with myself to do at least once cycle of Project 333 each year. But after doing it for several cycles, instead it has become a lifestyle for me. Sometimes I need a bit more than 33 items and other times I wear less. Today I have a small, simple collection of clothes I enjoy wearing regularly, and my guess is that I will continue on this journey for the rest of my life. Hi Courtney, I wrote about my first month trying out Project 333 here: http://everyweekisgreen.wordpress.com/2014/08/12/a-return-to-project-333/. This is part of my journey to reduce my consumer habits and my impact on the environment. It’s been working well for me in the summer, and I’m looking forward to seeing how I manage with autumn and winter P333 wardrobes when it starts getting cooler. Thank you so much for your clear advice and inspiration. My fall/winter project 333 wardrobe for a business casual working mom! Hi Courtney! I just discovered your project, and have posted about it on my blog! I’m doing a bit of a variation because I’m in the process of moving. I’ll be doing a series with 11 pieces (instead of 33) and showing photos of different outfits. Your work is incredible! I love it. Hi Courtney– Sorry about the confusion, but I just switched from wordpress.com to wordpress.org. This is the NEW url for all of my wardrobe posts, which are all on project 333 right now. Just starting with simplifying and feeling good energies by minimalism with project333! 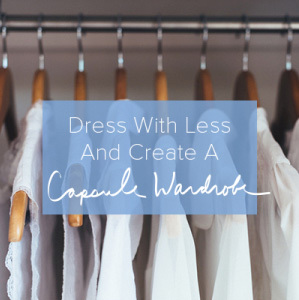 Thanks so much for all that you do to share that dressing with less is a great thing, not something to be dreaded! Simplifying is so freeing, even though I never expected simplifying my wardrobe would be! I shared my thoughts today on dressing with less while pregnant at my blog – http://www.aforementionedthoughts.com/?p=108 – I hope it helps lead others to this great movement and to the freedom that simplicity shares! I’ve been doing Project 333 for about a month and would love to write about the experience. I don’t have a blog, though. Can I just submit it to you directly? I too had to buy a few things because I realized that my wardrobe wasn’t very functional. I had all these separates that didn’t go together and lots of things that didn’t fit well anymore. My wardrobe was already pretty small, so I couldn’t make do with what I had. That’s why I started this project–it gave me the motivation and structure to start fresh and think differently about my clothing choices. Now I get it! Here’s my update! I’ve been doing the project for 18 months now and have blogged about nearly every phase. Thanks for including me in the blog tour! This is my French blog (does it matter ?) and the last story is about my summer dressing with less than 33 pieces of clothes, no jeans and breastfeeding as a challenge. The one in May was about pregnancy dressing. I’ve been doing project 333 by shopping my wardrobe and buying from charity shops. I’ve been teaching myself to sew so I’ve started sewing my project 333 so I can have a customised, well fitting capsule wardrobe all year round. I’ve just started a series on sewing my summer project 333 wardrobe. The first post i at http://wobblyjellie.blogspot.co.uk/2014/08/sewing-capsule-wardrobe-for-project-333.html. Hi from Finland! I wrote my blog tour post about fear of getting bored! I’m also participating in Project 333 summer season. It’s been interesting to read everyone’s contributions. Your take on “boredom” is wonderful, Saara! And really resonated with me. I have lived on a sailboat for the past 13 years so I have had to streamline all my possessions, but this is my first official Project 333. I posted an update for my Project 333. I am spending the summer with my daughter, so I’ve put Project 333 to the test by traveling using a small wardrobe. This is an update on how it has worked for me. Thanks for the call for submissions. I’ve wanted to blog about wardrobe for a long time and this was the kick in the pants I needed. Thank you Courtney for Project 333 and thanks also for the invite! To everyone: you’re an awesome community to be part of. Thanks for sharing and inspiring me. Hello! Here is my blog’s post about my personal Project333 Challenge. I started last sping and found it very interesting. I’ve never missed any of the clothes not included in my selection and even I did’nt wear a couple of clothes that were in. As I leaving for a vacation right now I got very quickly my luggage. Thanks. Hey Courtney. Recovering shopaholic here. =P I love the blog tour idea! I’m working on it now. I’m going to be updating as I see what works for me and what doesn’t in project333. http://tangledthreadsbydinie.blogspot.com/2014/08/project-333-first-attempt.html This is to the project333 post. My blog centres on how we can use yoga and meditation to revolutionise our habitual thinking patterns. I’m using Project 333 as a perfect example of an experiment that shows up your fears and attachments. Thank you for the incentive! Thank you for the outreach and the inspiration! Here are my Project 333 items from Paris, France. 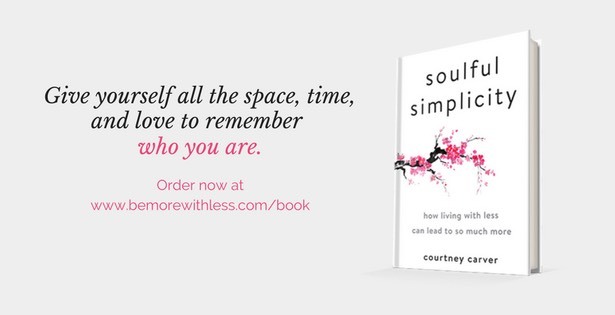 I hope to simplify the rest of my life even further thanks to your story! Thanks so much Courtney for all you do here and at BeMoreWithLess. You inspire me. 🙂 Below is my blog post about Project 333. I’m going for it. Below is my first post. Thanks for the inspiration, Courtney! Have really enjoyed checking out the blog posts everyone has done. Thanks for the inspiration Courtney.